Home Smart Cities are Data Cities What Will Big Oil Do Now That Sunlight Can Power Cities? Last night, at a media event in Los Angeles, Elon Musk of Tesla Inc. changed the energy game for cities everywhere. How? Musk promised to deliver an affordable way to store solar energy. If his company can deliver on the Powerwall promise, our cities will do away with high CO2 and dangerous nuclear sources for their power. But with electric cars, solar powered homes, and smarter cities eroding the demand for oil, what will happen to the fossil fuel industry? Frankly Scarlet . . . In the 19th C. big parts of our economy evolved around feeding cart-pulling horses and storing winter ice in warehouses for use during summer months. Who misses that? Ever since the 1960s when Stuart Brand’s Whole Earth Catalogue championed the idea of living off grid, the world has waited for a time critics thought was a tree hugger’s pipe dream. Until now. 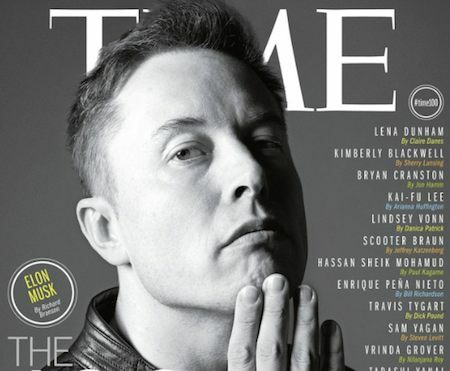 A very rational and engineering driven Musk plans to deliver the gridless economy on a mass, industrial scale. Here is his presentation from last night. 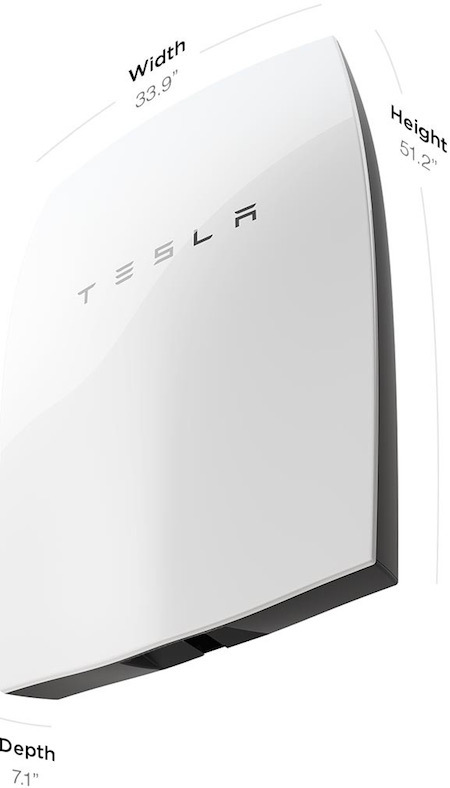 The Tesla home energy solution. Distributing the future? Simple. Effective. How useful is it really? One battery storage module of 10kWh costs $3,500 without installation or an inverter. According to the Energy Information Administration an average home in the US consumed 909 kWh of electricity a month in 2013. Demand peaks aside, that means approximately three of these units would be needed—along with solar panels—to offer a viable off grid energy solution. A lot has changed, however, in the consumer home energy market since 2013. For example, LED lighting is becoming ubiquitous. Appliances like air conditioners, furnaces, and washing machines use less energy. Natural gas is cheap and abundant. The amount of electricity an average house needs continues to drop. Assume, then, that a typical, well insulated house will require about 600kWh a month to operate to North American standards. That means on average a house with two Tesla 10kWh batteries could be self sufficient. What’s the cost? Assume a one time cost with installation of solar panels and inverter to be about $25,000 on a mass market, industrialized scale. Amortize that cost over a conservative time period, say 10 years (Tesla warranties the batteries for ten years with an extension of another ten years available) at 3% interest. That means a payment of about $240 a month to be energy grid free. That’s expensive relative to the average US home electricity cost of $110. Still, states like California offer rebates to home owners who buy these kinds of energy products. With the rebates the costs are in line with on-grid costs. Today. In five years the cost of these units will have dropped. The price of dirty energy, on the other hand, will increase as older powerplants become inefficient and as the market starts to price in the “externalities” of carbon and nuclear energy sources. Our prediction? In ten years there will be a massive demand for these kinds of energy systems. 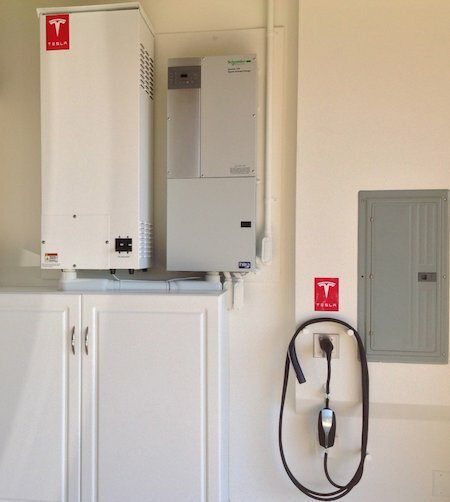 Tesla is marketing Powerwall as a supplement to grid power for home owners with solar panels. That is a smart, non-combative-to-entrenched-energy-players market position to assume. The truth is, however, that in a mature, MESHed City homes and offices will be self sufficient. Somebody has to ask the question: Are we all tree huggers now?